The leader of ISIS Abu Bakr al-Baghdadi was reportedly killed in a US airstrike in Mosul. Three senior ISIS leaders were also killed in the strike. 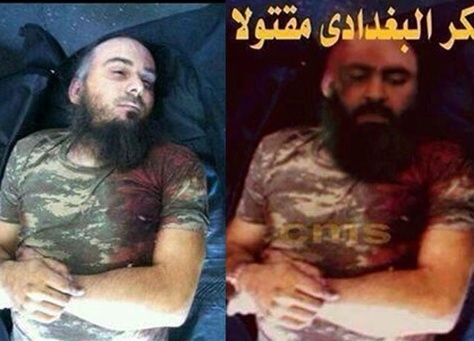 Thousands of social media users are distributing an unverified photo which claims to show the body of ISIS leader Abu Bakr al-Baghdadi after he was purportedly killed by US air strikes after three senior members of ISIS, including an aide to al-Baghdadi were also killed by US air strikes. The death of the three senior members and aide to al-Baghdadi were confirmed by a senior Iraqi security official when interviewed by NBC News on Thursday. The strike on the ISIS stronghold of Mosul killed Abu Hajar Al-Sufi, an aide to Abu Bakr al-Baghdadi, as well as an explosives operative and the military leader of nearby Tal Afar, the source said on condition of anonymity. Al Arabiya cited the Iraqi Defense Ministry saying Baghdadi’s aide had been killed. Pentagon Spokesman Col. Steve Warren could not confirm the deaths and said ISIS leaders had not been targeted. But he added that if ISIS leaders were embedded “inside troop formations they are likely to be killed.” The U.S. has been carrying out airstrikes across north Iraq after the brutal terrorists of ISIS gained ground in a murderous sweep in June. A number of news outlets and websites have published the unverified photo and news about the death of al-Baghdadi by US airstrikes. IraqiNews.com has been unable to verify the photo and claim that al-Baghdadi was killed. AhlulBayt News Agency said Iraqi forces have also reported his death. Iraqi forces reported that the head of the Islamic State of Iraq and the Levant (ISIL) ‘Abu Bakr al-Baghdadi’ was killed in U.S airstrikes. “Despite that Iraqi and U.S sources confirmed the killing of Abu Bajr al-Baghdadi, but the White House did not confirmed it yet”, AFP reported. Three senior members of the Islamic State of Iraq and al-Sham (ISIS) – including an aide to its leader – were killed in a U.S. airstrike in Iraq, a senior Iraqi security official told NBC News Thursday. The strike on the ISIS stronghold of Mosul killed Abu Hajar Al-Sufi, an aide to Abu Bakr al-Baghdadi, as well as an explosives operative and the military leader of nearby Tel Afar, the source said on condition of anonymity. 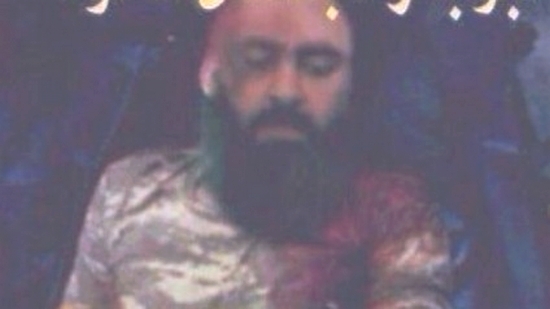 Al Arabiya cited the Iraqi Defense Ministry saying Baghdadi’s aide had been killed. 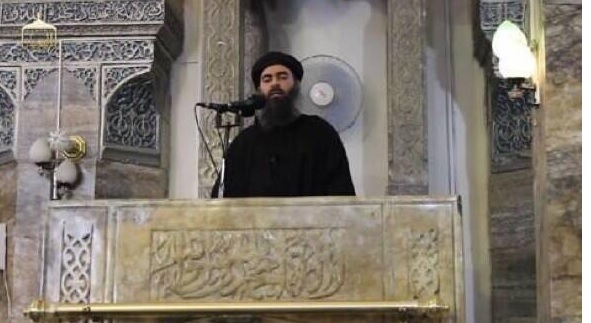 Baghdadi was last seen in a Mosul mosque leading Friday prayers in early July. Shoebat.com believes it was a photoshopped picture.